The Chapter has met all requirements from ATD. The Northern New Jersey Chapter of the Association for Talent Development is the premier industry association for workplace learning professionals in northern New Jersey. Our members – spanning business, education and government – enjoy educational programs, networking and other resources that allow them to enhance their skills and drive better business results. Learn More. 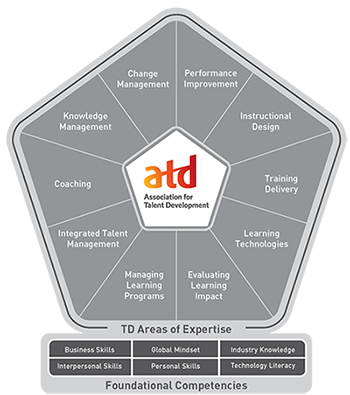 ATD Competency Model. Click image to learn more.